RBTH presents a selection of views from leading Russian media on international events, featuring reports on: the continuing slump in Ukraine’s GDP, search engine giant Yandex’s sponsorship deal with Turkish soccer club, and the potential consequences of Russia’s decision to expand its embargo on Western food imports to five more countries. As Ukrainian GDP falls by nearly 15 percent, Moscow’s chances of having its loans to Kiev repaid are shrinking too, reports centrist daily Nezavisimaya Gazeta. In the second quarter of 2015, Russia’s GDP dropped by 4.6 percent, while Ukrainian GDP fell by nearly 15 percent. The data was released by the relevant Ukrainian departments at the end of last week. Both Russia and Ukraine continue to suffer from high inflation and currency volatility, Nezavisimaya Gazeta continues. Unlike Russia, Ukraine is also faced with the threat of a default and a foreign debt crisis as well as difficulties with heating residential buildings during the coming winter. Compared with the first quarter of 2015 and taking into account the seasonal factor, the decline in Kiev’s GDP was “just” 0.9 percent, prompting Ukrainian officials to announce that the rate of economic decline has slowed. Ukraine is experiencing difficulties with repaying its foreign debts, including the $3 billion in Eurobonds that Ukraine is due to pay Russia by the end of December, Nezavisimaya Gazeta reports. However, Moscow may never get this money because Kiev has asked its creditors to write off 40 percent of the principal part of the sum, threatening otherwise to declare a moratorium on its debt payments, i.e. default on its debts. Since March 2015, Kiev has been engaged in protracted talks with its foreign creditors, which refuse to write off the debts and are ready to agree only to a rescheduling of repayment. Moscow is not taking part in these talks because it believes that they concern only state commercial debts, which the loan from Russia is not part of. 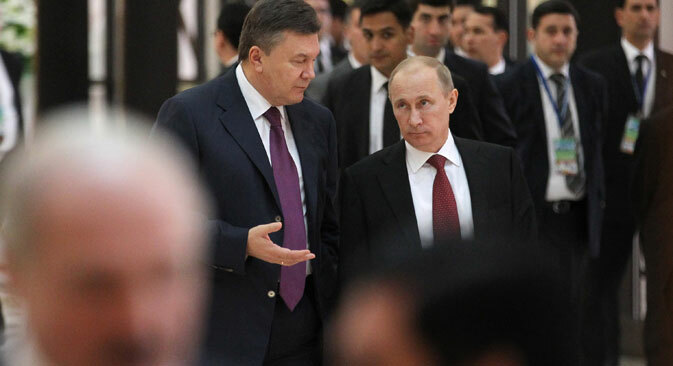 “Kiev considers the $3-billion debt to Russia is a sort of gift to [former Ukrainian President Viktor] Yanukovych from Putin for refusing to enter into an association agreement with the European Union and therefore has no intention of repaying it or even considering it from the economic point of view,” the newspaper quotes Alexei Arbatov, head of the International Security Center at the Institute of World Economy and International Relations, as saying. The Vedomosti business daily reports that Russian internet giant Yandex has become chief sponsor of the Turkish soccer club Fenerbahce. The news has been confirmed by Yandex spokesperson Asya Melkumova, who however did not disclose the amount of the contract. ProSport Management president German Tkachenko estimates the value of the contract, a major marketing deal aimed at promoting Yandex products in Turkey, at $10–15 million. According to Melkumova, the partnership will create more new Yandex users. The company is actively promoting Yandex.Browser and the mobile application Yandex.Search in Turkey now. Yandex launched its services in the country in the fall of 2011 in the company’s first foray into a foreign market beyond the CIS. As of June 2015, Yandex has been able to secure some 5 percent of the Turkish search engine market. The most popular search engine in the country is Google. Fenerbahce is among the top three football clubs in Turkey. It has won the Turkish league title 19 times, one behind Galatasaray (20 titles) and six ahead of Besiktas, (13 titles). Experts are divided as to what effect Moscow’s move to expand the list of countries that are banned from exporting foodstuffs to Russia will have on the country’s food market, the government daily Rossiyskaya Gazeta reports. Russia broadened the list of countries from which food imports are banned to include Iceland, Montenegro, Albania, Lichtenstein and Ukraine on Aug. 13. The agricultural watchdog Rosselkhoznadzor points out that, objectively, the biggest supplier on the list is Ukraine. However, even if the food embargo in relation to Ukraine comes into effect, there will be no shortage of meat on the market since meat is produced in Russia and imported from Belarus, the agency’s spokesman Alexei Alexeyenko told Rossiyskaya Gazeta. Experts are mostly concerned by rising prices. “Fish is becoming more expensive. As a result, its consumption is falling. This year, it will drop by about 10 percent compared with the previous year,” said Gudkov. Domestic prices are now nearer to world prices, which is in the interests of both fishing companies and producers, he added.